Tim again going back to the usage stat again. "This is what is important to us." 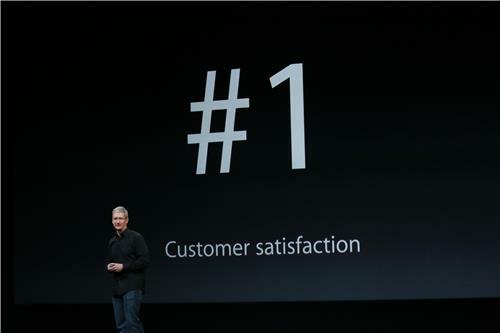 And it's the number one in customer satisfaction, he adds. 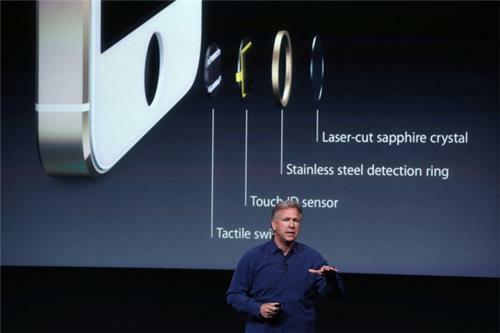 Cook: Can't think of any product that's come so far so fast. These are all arguments the company's made before to Wall Street, at least. Pushing it hard now on the press. Cook: Don't focus on market share, focus on usage share. 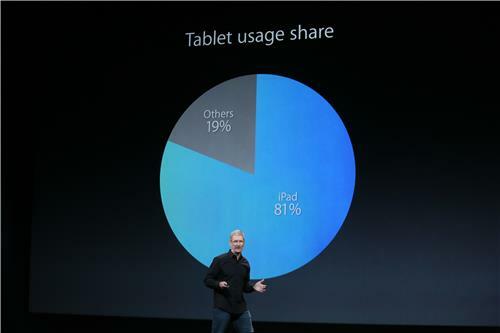 iPad leads -- 81% of tablet usage is on the iPad. Is this the "one more thing" moment? 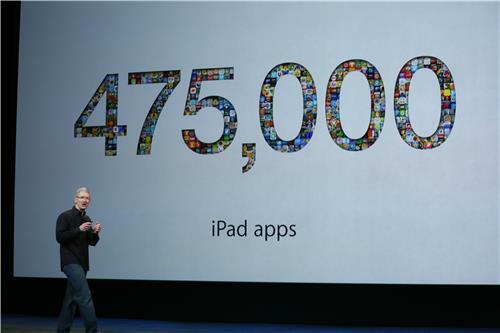 Now up to 475,000 iPad apps on the App Store. "Not this stretched out smartphone app our competitors are doing ... nobody else is close to this." Anne: Ha! No. We've just finally gotten to the "main" event. READ MORE: What's coming with the new iPad?! 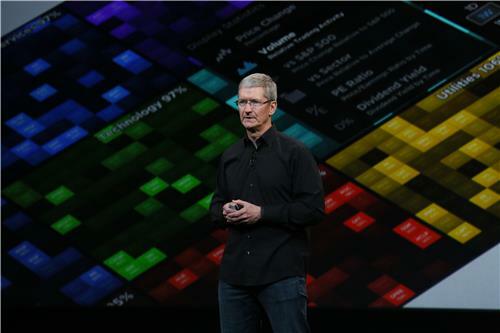 There are over 4,75,000 iPad apps. 475K iPad apps in the App Store. "No one else is close to this," Cook says. Tim is really teasing this one out. Who's ready for a new iPad already? Cook's going to roll a video for us to show us interesting or noteworthy things people are doing with iPads, like fixing windmills, and harvesting crops, speed skating, and olympic diving. 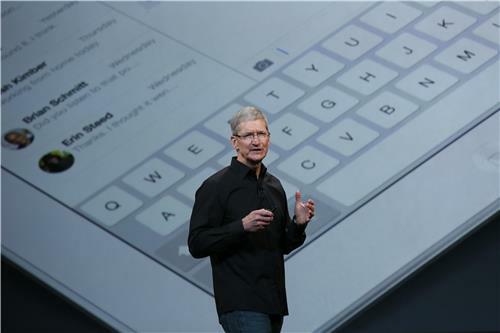 Cook: Couldn't have imagined all the ways our customers are using (iPads). And yes, even taking pictures holding up a giant tablet.